For great deals on top-quality vehicles, Virginia drivers trust Safford Chrysler Jeep Dodge Ram Fiat of Winchester. So, if you are shopping for a new car, truck, or SUV, our dealership is the place to go. We’re located just a short drive from Leesburg and Martinsburg, VA, and we have a variety of vehicles to choose from. Stop by and select the Chrysler, Dodge, Jeep, RAM or FIAT that best meets your needs. Safford Chrysler Jeep Dodge Ram Fiat of Winchester showcases an exceptional selection of new vehicles at competitive prices. Do you see yourself driving the all-new Jeep Renegade or the classic Cherokee? Do you crave the power of a RAM truck or Dodge Charger? Would you like to experience the elegance and ease of a Chrysler vehicle? Our trained staff of Jeep, Chrysler, Dodge and Ram certified experts will help you find the new car, truck, or SUV that fits you, your lifestyle, and your budget. If you are looking to save on your purchase, our dealership has got you covered. We are proud to offer New Vehicle Specials for buyers to take advantage of. Do you need a little assistance selecting the vehicle that adequately meets your needs? Allow us to provide you with the information necessary for making the most informed decision. Then, select the vehicle you want at the price you’re looking for. Maybe a used vehicle is more your speed. Don’t worry – we’ve got you covered with a variety of used vehicles to choose from as well! Plus, our Pre-Owned inventory consists of vehicles from nearly every make and model on the market. Discover quality vehicles made by BMW, Buick, Cadillac, Hyundai, Mercedes-Benz, Toyota, Volkswagen, and so much more. No matter what you’re on the hunt for, Safford Chrysler Jeep Dodge Ram Fiat of Winchester is likely to have it. You can also make our dealership your destination for Certified-Preowned Vehicles in the Winchester area. We maintain a huge inventory of used cars from top auto manufacturers that come complete with auto inspections by our technicians to ensure high quality and your complete satisfaction. Our Northern Virginia dealership serves the entire state as well as our Maryland neighbors. You may be wondering how Safford is able to draw customers from such a wide region. The answer is simple: Safford Chrysler Jeep Dodge Ram Fiat of Winchester is able to offer Virginia and Maryland car shoppers exceptional value on their new or used Jeep, Chrysler, Dodge, or RAM vehicle. When we talk about value, we don’t mean prices alone. Customer care and comprehensive service is important to us. As the leading Virginia car dealer, we take great pride in how we treat our customers. Therefore, you can expect us to go the extra mile when you stop by for a visit. We’ll work to exceed your expectations time and time again. Worried about financing? Don’t be. Our financing specialists can help create a personalized payment plan that’s just for you. Whether you need a loan, have bad credit, or no credit at all, Safford Chrysler Jeep Dodge Ram Fiat of Winchester will find you the right deal. Our Finance Department works with the best lenders in Virginia, so you can feel confident that we’ll discover an amazing plan that will allow you to easily get into the vehicle that you’ve got your eye on. Keeping your new or used vehicle in top condition is a priority for us. Therefore, our maintenance and repair team consists of some of the best technicians in the automotive field! We offer one of the largest Jeep Chrysler Dodge and RAM parts departments in the state, ensuring that your Safford car will go strong for many years after its initial purchase. 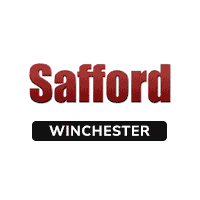 Safford Chrysler Jeep Dodge Ram Fiat of Winchester is your leading Maryland and Virginia car dealer. From competitive financing options for your auto purchase to an outstanding service and collision center, we are by your side every step of the way. Start browsing our inventory online or stop by to look at our extensive selection of new and used vehicles in person. We are located at 1659 Berryville Pike, Winchester, VA 22603.